In "As Black As Resistance," William C. Anderson and Zoé Samudzi offer a poignant look at the history and future of marginalized resistance in the U.S.
What is the most effective first step of resistance in the Age of Trump? 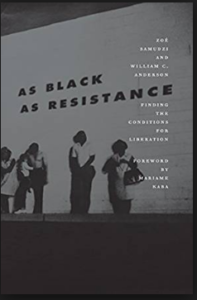 The answer offered by William C. Anderson and Zoé Samudzi’s new book, As Black As Resistance: Finding the Conditions for Liberation, is simple: if you wish to resist, you must first unmake the United States of America. This book is neither flippant nor dour while addressing this question; in fact, it answers as calmly as Carl Sagan might describe making an apple pie from scratch. Yet it summons a great deal of revolutionary energy in its brisk 117-page explanation. Regardless of where you are on the political spectrum, As Black As Resistance offers a captivating argument about the heart of America and what its continued existence means for Black, Native, and other marginalized communities surviving inside of it. It’s through said briskness that As Black As Resistance is able to cover so much ground, from the inception of America as a settler colony founded on Native genocide, through its actualization of white supremacist capitalism by means of Black chattel slavery, all the way to our current reality directly formed by them. This concept is tied together in their conception of blackness as anarchistic, itself from Anderson and Samudzi’s essay “The Anarchism of Blackness,” which serves as the book’s backbone. The invocation of anarchism is not a call for sectarian fighting among leftist groups, but rather is a way to define how Black existence is functionally incompatible with the American state. A system that was never designed to recognize Black folks as people, as it was when the so-called founding fathers wrote the Bill of Rights, will never be able to be reformed. 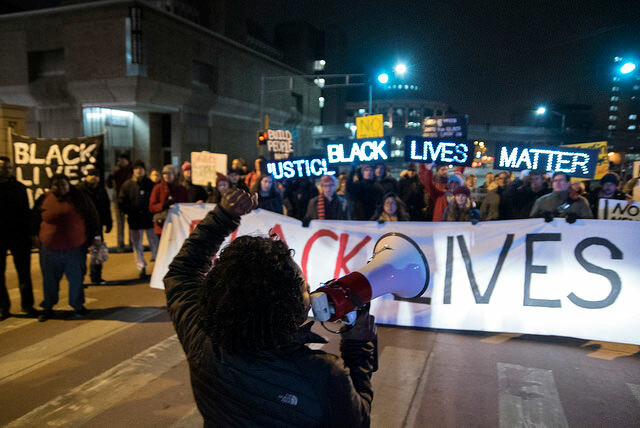 In As Black As Resistance, Anderson and Samudzi argue that in the pursuit of affirming that “Black Lives Matter,” we must address the matter of the issue: the material conditions that affect Black lives in America. Police brutality, state surveillance, and institutional disenfranchisement have been something Black people have faced since the country’s inception, and As Black As Resistance cites the police response to uprisings like Ferguson to help indicate how they’ll only continue under more devious and inscrutable means as time goes on. Instead of waiting for policy decisions to come from on high, the book asks us to go back to our communities and have conversations about what Black and other marginalized people need. Food, housing, financial assistance, child care, protection; these are all important rights that groups like the Black Panther Party, SNCC, and even inner-city gangs that politicians love to decry, all formed around providing. The issues raised by Anderson and Samudzi are daunting, but As Black As Resistance manages to present them as genuinely as possible without ever diminishing their danger. The authors keep us engaged by drawing from a number of Black scholars and activists, including Student Nonviolent Coordinating Committee chairman Kwame Ture (formerly Stokely Carmichael), former Black Panther Party member and anarchist activist Lorenzo Kom’boa Ervin, Black Feminist scholar Patricia Hill Collins, as well as an introduction by prison abolitionist organizer and educator Mariame Kaba. Special care and consideration are also explicitly given to the contributions and labor of Black women throughout history. As Black As Resistance traces the roots from the specifically gendered exploitation of Black women during slavery all the way to how Black transgender women and femmes are currently targeted by heinous violence just for existing. So many aspects of Black liberatory politics, as well as the modern LGBT rights movement, would not exist without the tireless praxis of Black women, femmes, and gender nonconforming people. The message is clear: drop the weirdly fetishizing “Black women will save us” calls and center the needs of queer, trans, and disabled Black women to create a fully actualized liberation movement. Despite much more visible discourse about the rights of marginalized groups from cited Black leaders, Anderson and Samudzi point to few political gains by supposed allies like the Democratic Party and liberal activists as well. It’s hard to disagree with important historical achievements like the Civil Rights Movement when Black organizers and their radical allies together embraced a number of effective violent and nonviolent tactics. At the same time, these few instances are wildly different from the civility expected in political discourse from both the Republican and Democratic Parties. If it’s surprising to see these decidedly non-liberal talking points brought up in a book about Black liberation, it’s for good reason. 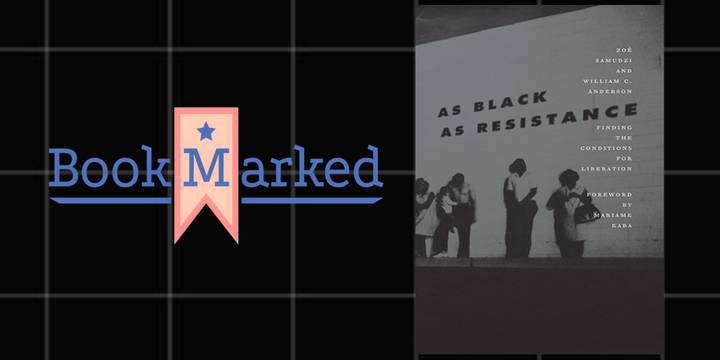 As Black As Resistance works tirelessly to skewer establishment politics and democratic party solutions that have continuously been sold as the only way for Black and other marginalized folks to get free, despite their dubious accomplishments. What worth is a politician speaking on the importance of keeping families together while simultaneously supporting the prison-industrial complex and ICE? As Black As Resistance argues that you don’t have to look hard to find many examples of performative politics like this from the people who say they want to help. Anderson and Samudzi saliently cite a key example of these kinds of politics when they describe how the “nonprofit industrial complex and liberal power structures find and reward the writers, activists, and so-called leaders who least threaten the status quo.” This ties into the common revisionism of radical legacies. We constantly hear the invocation of the nonviolence of Martin Luther King Jr., for example, despite his support of armed struggle and the reality that he was constantly threatened and demeaned during his time. For this reason, liberal readers will find it hard to make their way through Anderson and Samudzi’s section regarding self-defense. Unlike the typical party line of complete support for any gun control measure, As Black As Resistance asks us to consider the legacy of plenty of Black liberation leaders and their adherence to armed struggle. They make a powerful case about how the American state has historically monopolized firearms by citing several striking moments of violence against Black communities. These examples include Reagan’s passage of the Mulford Act in 1967, which targeted members of the Black Panther Party using guns to protect their community from police brutality, and the 1921 Greenwood community massacre, where police worked in conjunction with white mobs, utilizing airplane bombs and machine guns to destroy the thriving Black community known as the “Black Wall Street.” More than just a “guns are bad” vs. “guns are good” dichotomy, As Black As Resistance asks us to sit with the uneasy idea that many marginalized people of color utilize firearms as a method of protection from white supremacy, while firearms are also frequently the cause of domestic murder and so on within our larger society. As Black As Resistance prompts us to consider all of our tools, political and material, in working towards liberation for all oppressed people. And this is the consistent through line in Anderson and Samudzi’s work: asking what we can do for Black communities. As they put simply, “meaningful steps towards liberation do not have to be dramatic.” They must, however, contend with America’s antiblackness, otherwise they will never grasp at the roots that put Americans where they are. While some may see electoral politics as the panacea to a nightmare actualized by Trump, As Black As Resistance paints a picture of a nightmare that has been going on for hundreds of years for the countless Black, Indigenous, and other racially marginalized peoples exploited under and killed by white supremacist capitalism. For anyone who has never considered these power structures before, this book will serve as a rude wake-up call. It’s not content to stop there, however. As Black As Resistance is happy to have you here right now, and it’s time to get to work towards a better future.